Sixty-one percent of marketers planned to increase their spending on email this year, making email a higher priority than social media, mobile marketing or any other channel, StrongView’s 2015 Marketing Trends Survey found. Marketers are focusing on automated email marketing methods, especially email triggered by recipient actions and emails geared toward stages in the customer lifecycle. Marketers are prioritizing email because of its high return on investment, which averages $38 per $1 spent, with one in five companies enjoying an ROI of over 70 to 1, according to the Direct Marketing Association’s 2015 National Client Email Report. If your email marketing isn’t generating this kind of result, here are suggestions to breathe new life into your email campaigns. Triggered emails, also called transactional or personalized emails, are sent when some specific action occurs. For instance, you might send customers a welcome message when they register for your email list, or a social media site might send users a notification when someone comments on their post. These types of triggered emails currently generate an open rate 78.7 percent higher than other emails and a click rate 233.4 percent higher, according to Epsilon’s most recent report on Q2 2015 North America Email Trends and Benchmarks. Integrating triggers into your email marketing strategy can give your campaign a quick boost. One particularly effective triggered email strategy is sending an email when a customer abandons a shopping cart, a tactic which SaleCycle found yields a 44.1 percent open rate. You can also use triggered emails for customer service events, such as following up on a website visit or phone call. Triggered emails work well in conjunction with another major email strategy, lifecycle emails. Lifecycle emails are designed with the stages of your lifetime relationship with your customer in mind. This has the advantage of meeting your customers where they are in your relationship and guiding them toward the next logical step in the buying process. Onboarding emails include welcome messages, orientation on how to get started using a site and notifications for social media customers to complete their profiles. Subscriber-oriented emails include newsletters, new blog content alerts and e-course lessons. Promotional emails announce sales, upgrade offers and similar opportunities. Transactional emails are triggered by customer-related actions, such as sending a receipt, a shipping confirmation or a password reset notification. Behavioral emails are triggered by customer behaviors such as customer service inquiries or abandoned shopping carts. 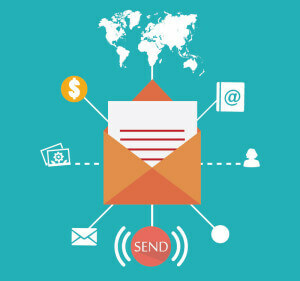 Lifecycle email strategies can increase your campaign results dramatically. For instance, Experian has found that welcome emails generate an open rate 86 percent higher than other promotional mailings. Experian’s research has also shown that including the word “video” in an email’s subject line boosts open rates from 7 percent to 13 percent. Video further increases conversion rate by 21 percent and average order value by 24 percent. You can shoot your own video footage, use quality 4K stock footage from sources such as Shutterstock or send links to other sites’ video content you think might interest your list. The effectiveness of video marketing is one example of how email marketing is becoming part of an integrated omnichannel promotional strategy. Sixty-six percent of email is now opened on smartphones or tablets, Movable Ink research shows. Litmus marketing director Justine Jordan says this makes it crucial to design your emails to display well on all devices. What have you found effective in your email marketing? Leave a comment and share.